The Career Academy is a leading provider of online business courses, in the areas of Accounting, Bookkeeping and Administration. 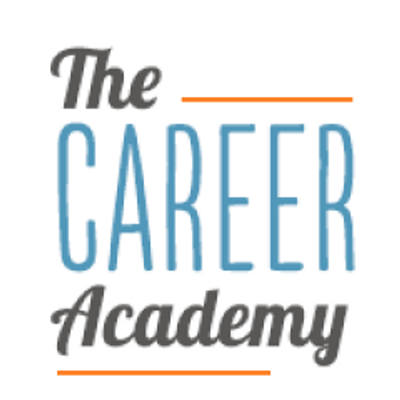 At the Career Academy, we are committed to providing exceptional online courses and personal tutor support. We offer a range of accredited and employer recognised courses.Our focus is on mentoring, inspiring and supporting people through training so their career or business can reap the rewards. The Career Academy offers flexible online courses that allow you to fit study around your other commitments. At the Career Academy, we believe the most important part of a promise is not the making of the promise, but rather the keeping of it. We work hard to meet our students’ expectations and strive to deliver high quality educational support to help candidates pass their exams and become qualified. For more information our online business courses at the Career Academy, please contact us using the details below. Stand out with the crowd with this Xero qualification on your CV! Our course will teach you advanced Xero Accounting skills such as managing your business accounts, interpreting extracted information (reports) and how to make the most of a cloud accounting solution. Stand out in the job market and become a certified accountant with our accredited course. Youll gain practical skills and intermediate knowledge of the theory and practice of business accounting. This course will help kickstart your journey to becoming an Accounting Technician. No prior experience necessary. Become a Certified Accounts Administrator and get that promotion by learning new skills with our nationally accredited course. You can fit this online training course around any schedule and gain the intermediate knowledge you need to stand out from the crowd. Gain the skills you need to work in accounts or payroll. Teenage years can be very difficult for all members of the family. Youll examine the life changes each adolescent must navigate on their journey to adulthood, understand of the role transitions and crises faced by young people and become a more effective parent, teacher or youth worker. Returning to work? Looking to up skill for a promotion? Wanting to stand out from other job seekers? Our accredited Certificate in Business Administration will give you the knowledge and qualification to work confidently in the administration field. Plus, our online course means you study when you want we will work around you! A counsellors role is to facilitate the resolution of issues, whilst respecting a persons values, personal resources, culture and capacity for choice. Counselling provides a regular time and space for someone to talk about their problems and explore difficult feelings in a confidential and dependable environment. Developed by health experts, our accredited online course will help you learn to use Microsoft Office effectively to schedule appointments, keep records and manage the day-to-day running of a medical practice. Youll also become familiar with medical terminology and abbreviations. Human resource management or HR, manages the relationship between people and the organisation they work in. It includes responsibility for recruitment, training programs and staff performance. Our online course covers communication skills, factors that influence workplace conditions and culture, basic supervising cultures, recruitment and induction processes, planning and conducting staff training and much more. Learn to use Xero to manage business accounts and gain a nationally recognised certificate with this intermediate level course developed by The Career Academy and the team at Xero. With comprehensive support from our expert tutors, you can work through the course in your own time, following our easy step-by-step instructions. Learn to use the Xero Payroll module with our accredited online course. Youll learn to connect your payroll to your accounting system, saving time and stress managing payroll. Learn practical skills and techniques to successfully help others work through their problems with counselling. This accredited online course was designed by experts for anyone whose role has a pastoral care component, or those who would like to pursue a career in counselling. This advanced online diploma takes approximately 40 hours to complete and combines four qualifications into one. It will enhance your Xero skills, enabling you to pursue a career in accounting, finance or business.